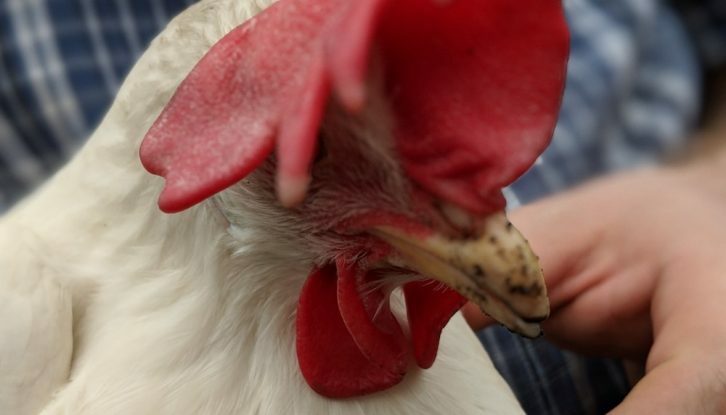 Chickens may be coming to a backyard near you. 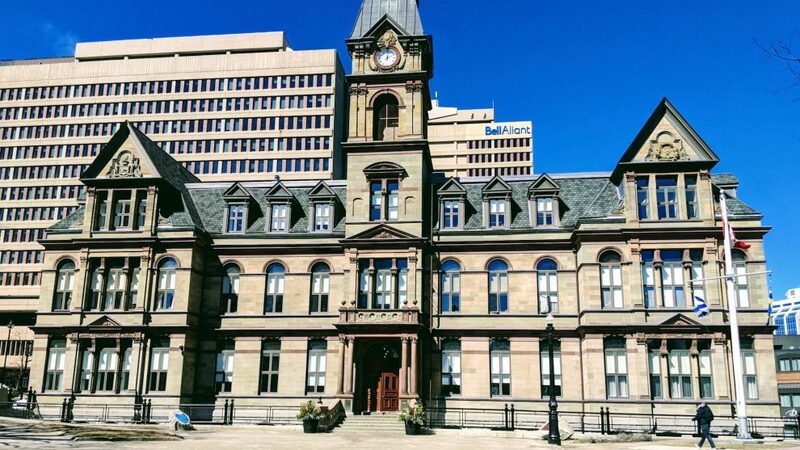 On Tuesday regional council told municipal staff to look into allowing egg-laying hens for personal food use in all residential zones in the Halifax Regional Municipality. Current zoning bylaws are unclear on how and where residents can keep chickens. Coun. David Hendsbee brought this motion forward. He said he has been receiving complaints from constituents, especially in Lawrencetown, where one woman can keep chickens but her neighbour cannot. “I was hoping we could get a review of what the zones do and don’t allow,” Hendsbee told council. The issue of backyard chickens has come up at council before. In 2008 the municipality forced Louise Hanavan to give away her chickens and in 2013 it relaxed the interpretation of bylaws, according to CBC reports. Cleary said his constituents ask about rodents, but he thinks that it’s the chicken coops that attract pests, not the chickens themselves. Coun. Sam Austin noted that regulations regarding chickens will appear in the upcoming Centre Plan, so this motion is coming at an appropriate time. “Why did the chicken cross the road? Because there’s legal land use on the other side,” he joked. Coun. Russell Walker was the only one to vote against the motion. He is worried that backyard chickens will only increase the rodent problem in his district, Bedford Basin West. “I think this report should include in it how (allowing hens in yards) may affect a major, major outbreak of rats,” Walker said. Coun. Steve Streatch said while he thinks chickens are filthy, he would not stand in the way of anyone who wants fresh eggs. “I don’t want to see us encouraging agriculture within an urban setting,” he said. 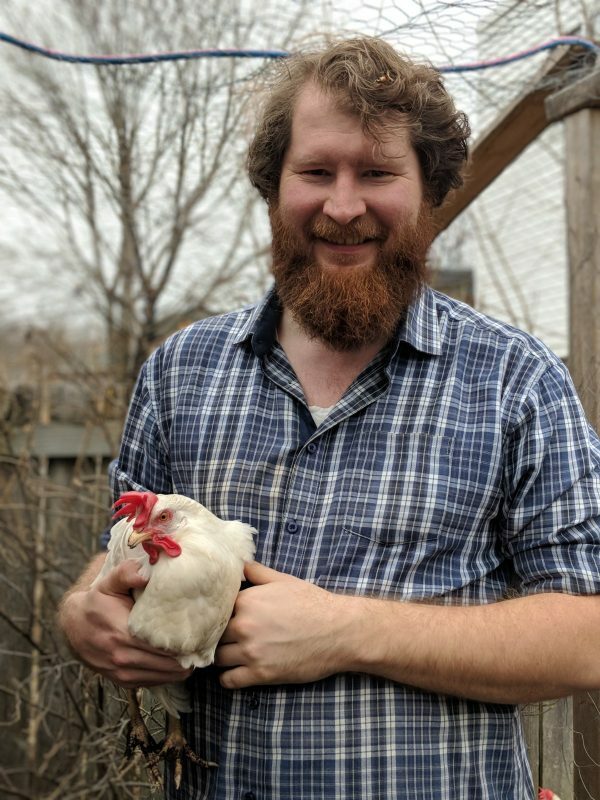 Eric Jonsson has had three hens in his backyard in north-end Halifax since June. He’s excited that it could be legal for everyone in HRM to keep chickens. “I like chickens because they literally eat everything,” he said in an interview. Jonsson got his chickens from Scotia Poultry in Cole Harbour and their pen from a friend who lived nearby. He broke down the pen and rebuilt it in his backyard with some improvements, such as installing a window and putting in insulation for winter. The materials cost about $70, plus the chickens were $1 a piece. He believes it’s the food that attracts rodents more than the chicken manure. He’s always been a gardener and he uses the manure for fertilizer in his garden beds. He said he gets about 20 eggs a week and gives some of them away to his neighbours.